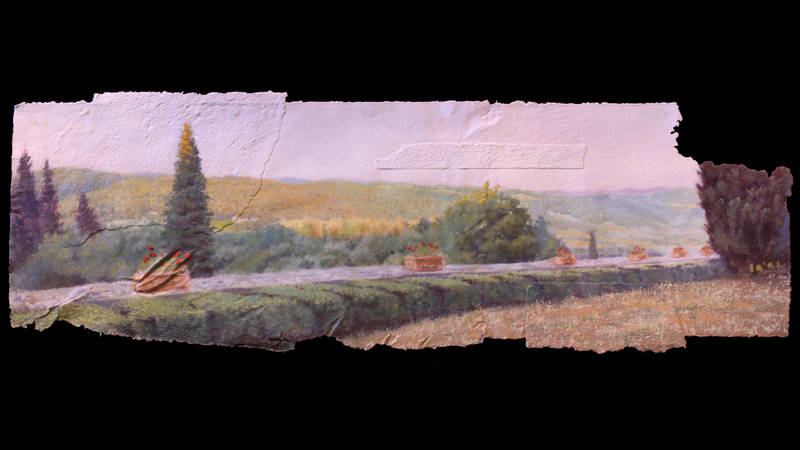 Richard’s short film will grace the big screen at Malco Grandview Theater on Saturday, April 11 th, at 11 a.m.
“Portrait” tells the story of a landscape painting created by Jerrod Partridge, a Jackson artist, after a trip to Tuscany, Italy. The painting was commissioned. Richard filmed Jerrod from start to finish, with some help from our son, Douglas, and from Roderick Red of Red Squared Productions. 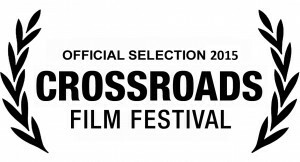 The film will be shown along with five other short documentaries selected for the 2015 Crossroads Film Festival. 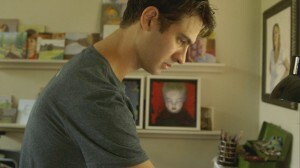 This image of Jerrod to the left is a screenshot from the film. The image below is an image of the painting itself, also from the film. You can’t get the full effect without the big screen, unfortunately. Jerrod used handmade paper as his canvas. 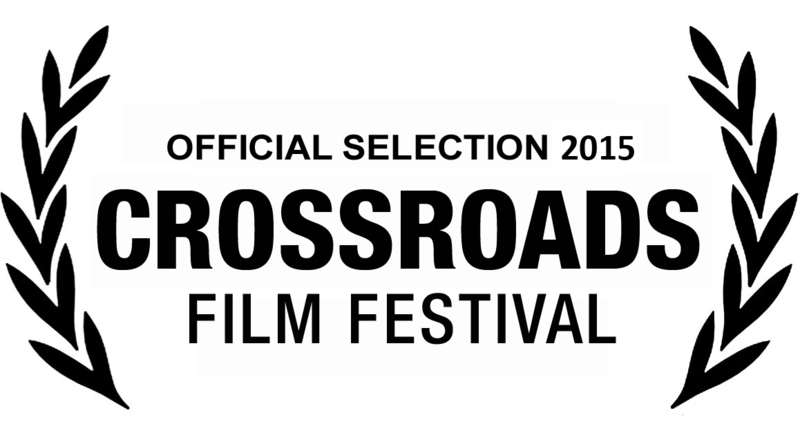 I am very excited to announce that Richard’s short film, “Portrait of a Painting,” was chosen for the 2015 Crossroads Film Festival. The film chronicles the creation of a landscape painting by Jerrod Partridge, an artist who lives in our neighborhood. It will be shown at Malco Grandview Theatre in Madison, Miss., on April 11. “Portrait” is Richard’s first film, though he has been creating with moving pictures for about four years. Most of that work has been created to help market our three pictures books and to spread the word about Hope Enterprise Corporation and Hope Credit Union. Filming for “Portrait” stretched over several months. Richard had help from Roderick Red of Red Squared Productions and our youngest son, Douglas Campbell.